I had heard about it. I had never seen it in action. I’m talking about self-checkout. I love it! Yep. You are your own cashier! It is exactly as the name implies. You act as your own cashier at the stores that have self-checkout. You go to the cash register, scan your products with the barcode scanner, pay for your purchase, and head out the door. I use the self-checkout most every time I go to Walmart (which is often). It is fast, efficient, I am in control, and I am in and out quickly. There was a time when I did not use self-checkout if I was buying things like produce. I did not know if you could weigh the item yourself, or how to do it. But, one time the checkout lines were busy, and I did not feel like waiting, so I asked an employee if I could go through self-checkout even though I had some cabbage and lettuce. The person just smiled, took my cabbage and showed me how easy it was to do! Wow, amazing. At my local Walmart store, there must be about a dozen self-checkout counters. They are all very conveniently located, very near the entry/exit area. So, you can go in, check yourself out, pay, and you are out the door quickly. At the front of the self-checkout, there is a counter with an employee available for assistance. You would think that they would be keeping a close eye on you to make sure you are paying for everything in your cart. I don’t find it to be like that, though. The employee does not bother you or seem to watch you at all. The employee is simply there to answer questions or assist if there is a problem. The only time I’ve had any interaction with the employee in the area was when I asked about how to weigh the produce. Never again. Will there ever be self-checkout in the Philippines? Having lived for the past two decades in the Philippines, I know that many readers will be wondering about self-checkouts and whether they will appear in the Philippines. I don’t think it will happen in my lifetime. Maybe it will happen someday, but in my view, it will be a very long time. I see a few reasons that self-checkout would be a no-go in the Philippines. There are many uneducated people in the Philippines. These people probably would not understand how to operate the self-checkout. Fear of theft. Most Philippine companies would fear (probably rightly so, unfortunately) that there would be huge problems with theft. People not paying for what they take. Cash society. The Philippines operates on CASH. Few people there use or even have, credit or debit cards. Self-checkout does take cash, but I don’t think I’ve ever seen anybody pay with cash, only cards of one type or another. Sad thing is that the Philippines badly needs self-checkout. The cashiers there are so slow. Having self-checkout would greatly increase the speed with which you could make your purchase and get on your way. What about before I moved to the Philippines? In the 1990s, before I moved to the Philippines, as far as I am aware, there was no such thing as self-checkout in stores here in the USA. If it existed at all it was only a very minor thing. 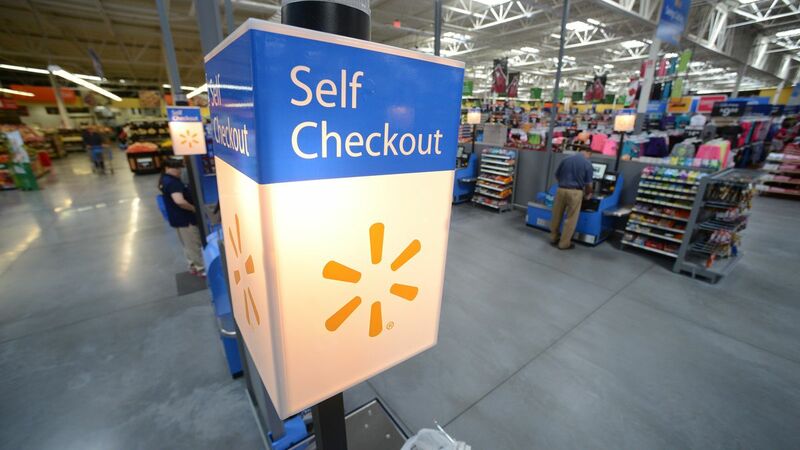 These days, most large retail stores here have self-checkout. Based on watching customers, I believe that self-checkout is also widely used. The vast majority of people go straight to the self-checkout. The largest purchase we have made at Walmart was for a 50″ TV set. We did not go through self-checkout for that. We went to a traditional cashier. I do not think that self-checkout would be available for such a purchase. I say this because the cashier that ran-up our TV set had to enter the serial number of the set into the system and do some other things. Also, the TV set had a security device attached to it, requiring a special tool to remove it, so that we could leave the store without any incident. I just don’t think that this would (currently) be possible at a self-checkout counter. 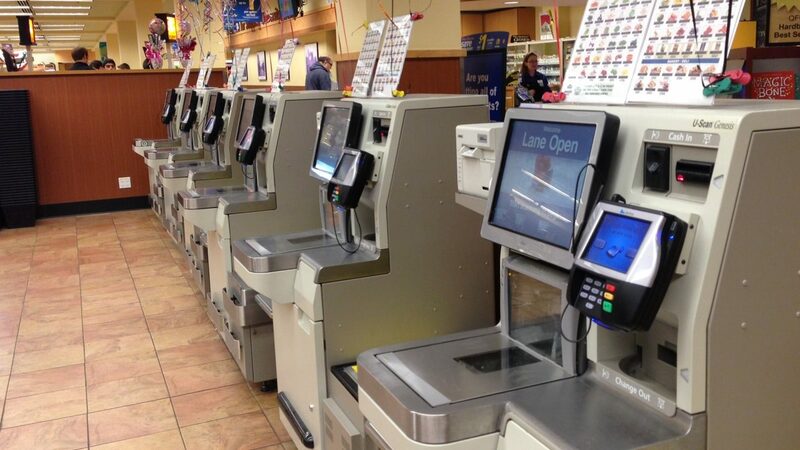 In my view, self-checkout is the best thing since sliced bread. I absolutely love it. Hi Bob!! Ya I agree with you, it will be a very long long time for self checkout to be available. Maybe in the higher end big box store maybe in the next 20 years. But as a whole, there will always be cashiers and security standing by watching everything that goes in and out. As far as your electronic purchase aka your tv, yes you can go through self checkout. However, there is a cashier manning each self checkout area to assist all the customers going through. And you are right, she/he will have to disable the security device and help you through the process. So it is actually just much easier to go through regular checkout for such items. Hope you are having a great day and hope yall did not get too much more snow from this big storm system that came through. Hi Quentin. I just don’t expect to ever see self-checkout in the Philippines, not in our lifetimes! I had not thought of the employee in the self-checkout area when we bought our TV set. We got very cold weather yesterday and today (4 degrees yesterday, 10 was our high today). A bit of snow, but not much, but bitter cold! Yeah, we are doing well here, better than expected. Sorry to say I don’t like self checkout. Must be my age – I like the personal service. I also had an epiphany about checkout lines in the 80’s. I had a cart full of food at the local Safeway and I was number six in line at the register. All the other registers had long lines as well. I was more than a little annoyed that I was going to have to wait a long time to get out of the store. And then I started laugh at myself – here I was complaining about long lines leaving the market with a full cart where the previous night I watched the news about people in Poland in blocks lying lines waiting to get into stores that were empty. I always think back to that when I’m stuck in a line. I believe there are two reasons why places like Walmart have the self check out: labor costs and labor shortages. Going to $15/hour for the bottom of the ladder jobs makes it economically feasible to automate the jobs. Those machines and the technology are not cheap for initial capital costs and the ongoing maintenance. Couple that with a severe labor shortage. I have a friend who works at Walmart, and she tells me finding people who want to work who can pass the drug tests is a real problem. As long as inexpensive labor is available business will put off spending up front capital until the pain gets too much. I believe you are correct… labor costs have risen a lot, and it is getting hard to find employees too! Drug tests are indeed a problem, I have been told that by people “in the know”.